When the biggest name in makeup is going beyond makeup, it’s worth taking notice. Makeup artist and living legend Bobbi Brown has recently launched a line of supplements designed to address a wide range of beauty concerns, and – get this – you can get them at Walmart! Walmart’s own beauty guru, cosmetics buyer Melanie Deschaine, got the full story. Melanie Deschaine: Bobbi, we’re so excited about launching Evolution_18 in Walmart stores and on Walmart.com. Everyone knows you as a makeup artist, so it was probably surprising to many customers and fans when you rolled out a health and wellness line last year. Can you explain how protein powder and probiotics make sense for someone known for bronzer and blush? 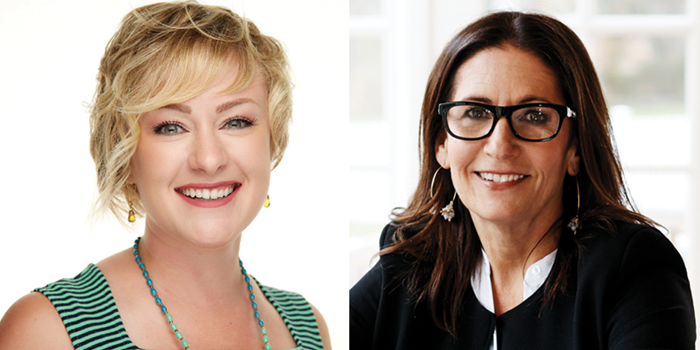 Bobbi Brown: For me, health and wellness are not something new as a beauty expert. I have always believed that the better you take care of yourself on the inside, the better you’ll look on the outside. This philosophy was just as important to me when I was a makeup artist as it is now. Glowing skin, strong nails and shiny hair all begin with what you put in your body. MD: I love the focus on inner beauty and self-care. It’s something my husband and I are really trying to instill in our 13-year-old daughter, and I think it’s something we can all practice. Tell me, why is now the right time to come out with a wellness line? BB: After the release of my last book, Beauty From the Inside Out, which focused not just on makeup tips and skincare, but also featured beauty food recipes and fitness advice, I realized there was an audience out there that was hungry for more. I went and got my degree as a health coach from the Institute of Integrated Nutrition and set out to create simple and effective products that support both inner and outer beauty. MD: Love it! What about the name “Evolution_18”? Where did that come from? BB: It’s a combination of the name of my lifestyle company Beauty Evolution, and the address of my photo studio, 18 Label Street. I saw these products as an evolution of the wellness and beauty categories and the name just stuck. MD: Your beauty line has been carried by the most chic stores in the world – your first makeup line debuted at Bergdorf Goodman. Why was it important for your wellness line to be available at Walmart? BB: Health and wellness shouldn’t be exclusive, they are things that should be available to everyone. And I can’t imagine a better partner than Walmart to help make my products accessible to everyone. Not only is this new collection affordable, but the supplements really work — and they taste great! MD: Absolutely! We often say that the beauty aisle might be the only bit of “me time” a customer gets in her shopping trip, so we owe it to her to make that a great experience. What’s the biggest mistake people are making when it comes to their health? BB: I see the biggest mistake people make when it comes to their health is approaching it as a one-size-fits-all thing. Just because something is working for a friend or family member, doesn’t mean it will work for you. You have to listen to your body to figure out the right combination of food, exercise, water and supplements you need to look and feel your best. MD: That’s a great lesson, and it’s true for beauty, too. Beauty is about being your authentic self, not shape shifting into what you think you should be. So my personal favorite item from Evolution_18 are the gummies. They taste great and are quick and easy to take. What’s your favorite item from the line? BB: That is a hard one! I think it would be the Beauty Superfood Powder. It has a blend of over 30 fruits and vegetables, a blend of healthy fats to nourish skin, prebiotic fiber for your gut and collagen peptides for your hair, skin and nails. It is a powerful beauty cocktail and is perfect for adding to your favorite smoothie. Bobbi Brown’s new health and wellness line Evolution_18 is available in Walmart stores and on Walmart.com.